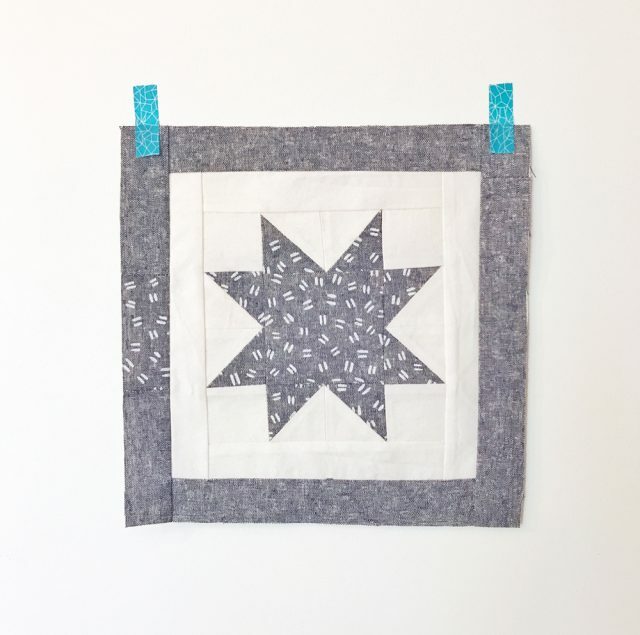 Quilt enthusiast @the_milliner shared her beautiful linen quilt block made with Arroyo! 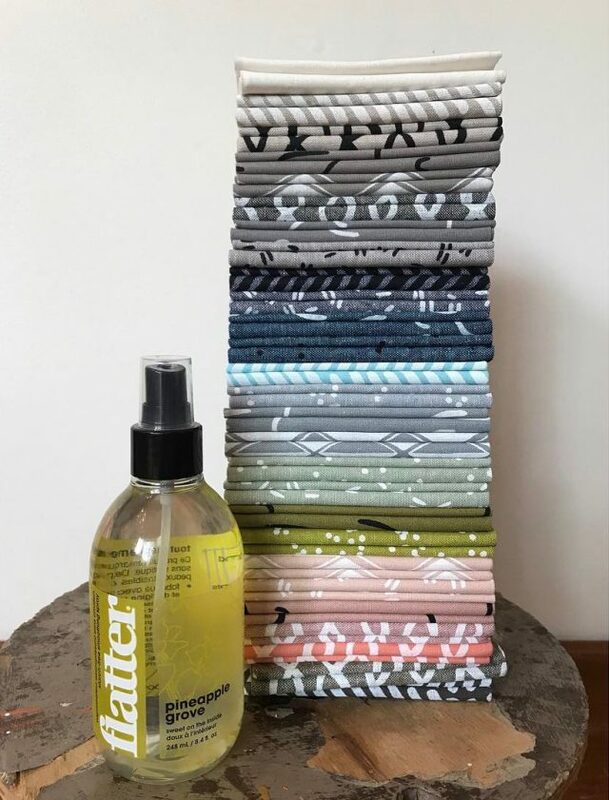 She also shared the perfect stack of Arroyo fabric seen above, along with a bottle of Flatter fabric spray. 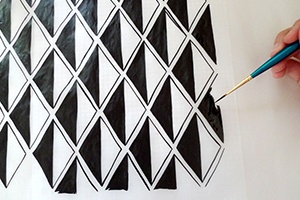 In progress photos are just as exciting as seeing the finished product. 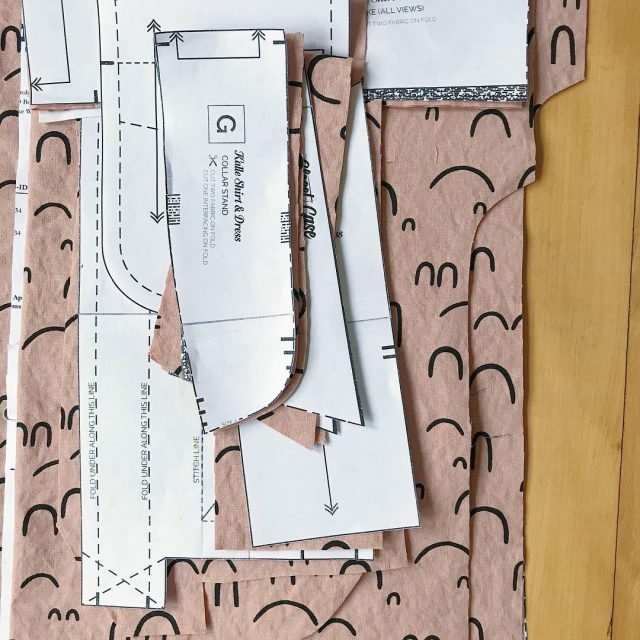 This photo from Carolyn Friedlander shows her in-progress Closet Case Kalle Shirtdress — I can’t wait to see it all finished. 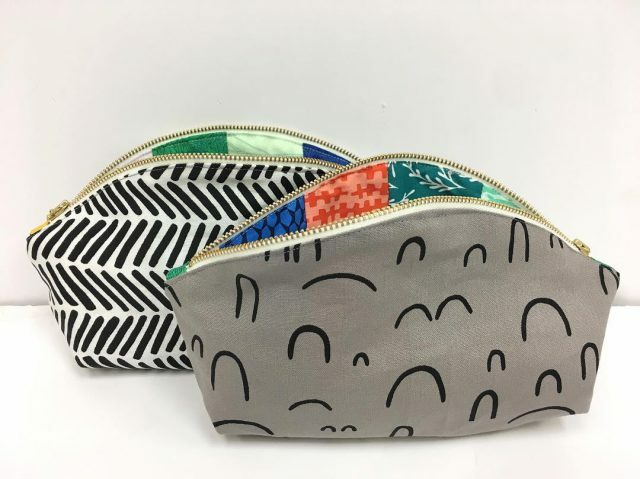 Elisabeth Hardy made these super cute Noodlehead pouches using two different colors of Arroyo. These look perfect for holding makeup, school supplies, or even knitting or sewing supplies. Sandi Hazelwood wasted no time putting the Arroyo samples I gifted her to good use! 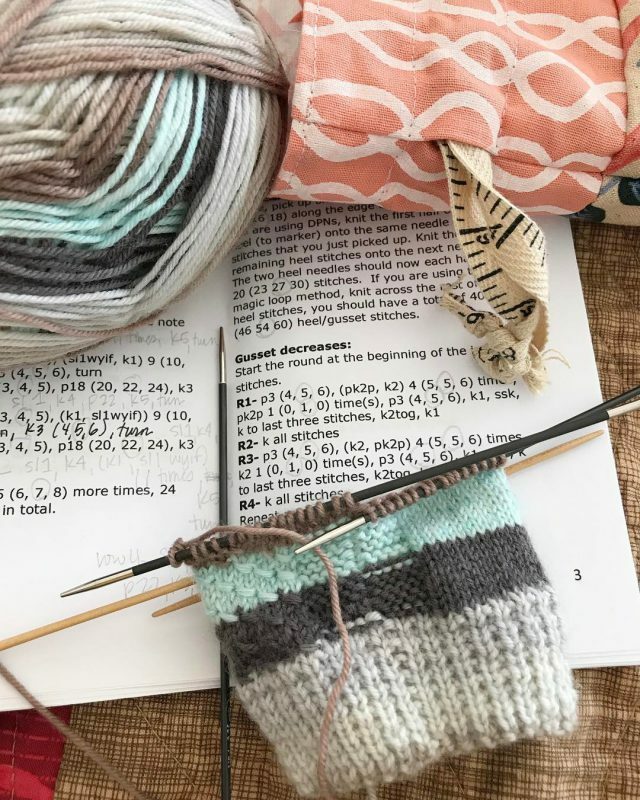 She integrated some of the mango DNA fabric into her new knitting stash bag. 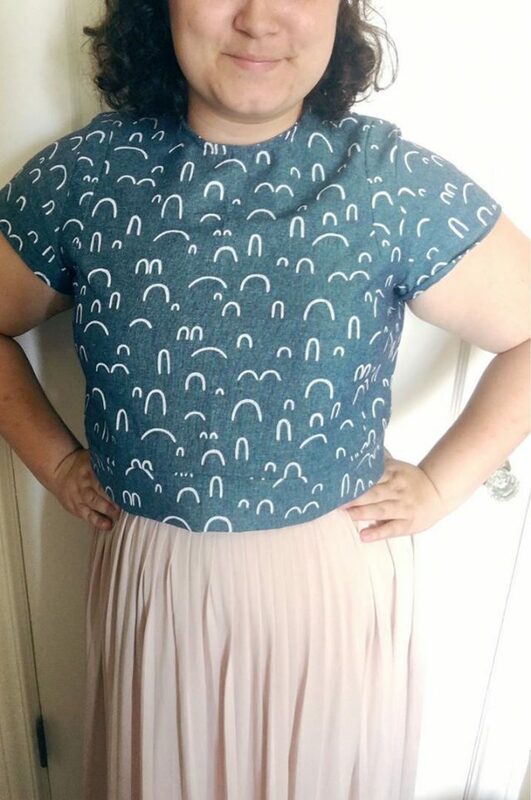 I love this vibrant Hayden top from Seamwork that Julia Williams made! 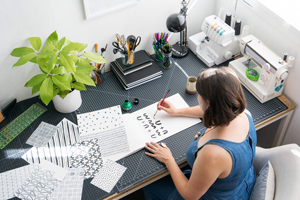 Such a fun print for apparel. 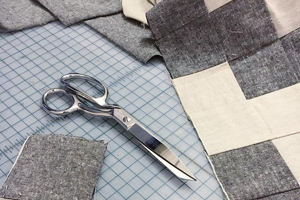 I’m hoping to find some time to make Noodlehead’s Wool + Wax tote with my favorite stone grey Arroyo fabric, but knowing how slow I am with personal projects, it may not get done until the winter… Can’t wait to see more of your projects come to life in the meantime. « Sachets are back in the shop!